Our Partnership comprises business and community members from across the Mallee who care passionately about the future of our region. 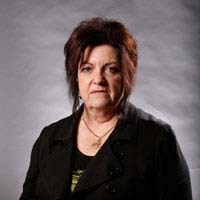 Win Scott has had extensive experience in the vocational education and training sector – most recently as Chief Executive Officer of Sunraysia Institute of TAFE until her retirement in June 2016. 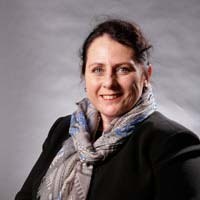 La Trobe University awarded her an honorary Doctor of Education in May and she holds a Masters of Education Management. Win is a member of the Loddon Mallee Regional Advisory Committee for the Victorian Multicultural Commission and the Deputy Chair of Arts Mildura. She has been involved in tourism and environmental projects and she is passionate about the arts. Simone Heald is Chief Executive Officer of Sunraysia Community Health Service. She completed her MBA in 2015. Simone has extensive experience in the community and social health sector with a strong understanding of disadvantage and related issues. She is passionate about new and innovative ways to better meet the social and physical needs of people in the region. 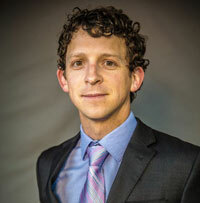 Dr Tony Alessi is a practicing chiropractor with background in community advocacy and small business. Tony has played an active role in local education, and currently serves on the Regional Advisory Council of the Victorian Multicultural Commission. Tony is passionate about attracting investment into the region to bring quality employment opportunities. Robert Jardine has recently retired from his role of Economic Development Coordinator with Regional Development Victoria. Rob has strong ties to the community and a background in State Government, business, regional development and education. Robert is passionate about maximising opportunities for growth and the delivery of quality services to the community. Kay Martin is a consultant lawyer with MIR Lawyers. She holds both a Bachelor of Laws Hons and Economics. Kay is actively involved in a broad scope of community and economic activities that span the education, aviation, water management and aged care sectors. Glenn Stewart is the Strategic Manager for the Advancing Country Towns project in Robinvale. Glenn has a strong background in education, youth and indigenous engagement and community activities. Glenn has lived and worked in the Mallee region for 33 years and is passionate about change management and ensuring positive outcomes for community through partnership development. Rebecca Wells is Chair of the Merbein and District Community Bank Branch of Bendigo Bank. She passionately believes in the impact of community leadership programs and has been an active supporter of the Northern Mallee Leaders program. She brings experience in community enterprise and education. Rebecca holds a Master of Business Administration. Stuart John McLean is Deputy Chair of the Loddon Mallee Regional Development Australia Committee and until recently, a councillor of Buloke Shire Council, serving for the past 19 years. Stuart was a self-employed agricultural business principal from 1967 to 2016. Stuart is inspired by the economic and lifestyle opportunities offered by the Mallee region and eager to ensure its prosperous and sustainable future. Born and raised in Charlton, Anthony Judd holds a Master of Business Administration (Deakin University) and a Bachelor of Management/Bachelor of Applied Science degree (Federation University). Anthony has been at Buloke Shire Council since 2006. He spent four years as Recreation Officer then three years as Manager Assets and Infrastructure. He has held his previous position, Director Works and Technical Services from 2013 until April 2018. A leader in his community, Anthony is also a graduate of the Loddon Murray Community Leadership Program and is heavily involved in the Charlton Football Club as long term player and previous senior coach. Tom took up the position of CEO in December 2017. Tom joined Gannawarra Shire Council in the role of Director Corporate Services in March 2016. Prior he was an Associate with the CT Management Group undertaking local government assignments with the Shire of Buloke, Latrobe City Council and King Island Council. He was employed with the Greater Shepparton City Council for eleven years – six years of that time as Director Business and Finance. He has also worked in the private sector with four years as CEO of Metzke+Allen Chartered Accountants based in Shepparton. His career in Northern Victoria is extensive given he also worked with Goulburn Murray Water for 11 years along with seven years with Goulburn Valley Water. John joined Council as its Chief Executive Officer in March 2016. He was previously the Chief Executive Officer of Loddon Shire Council, a position he held since 2005. Gerard joined Mildura Rural City Council as CEO in October 2014. 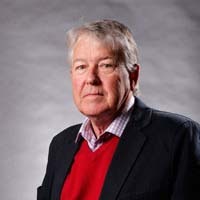 Prior to joining Mildura Rural City Council, he was CEO of Greater Taree City Council on the mid-north coast of New South Wales for seven years. 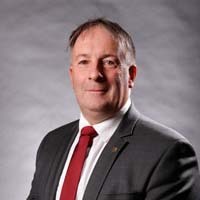 Gerard’s career in local government also includes time as Director of Health and Community Services at Ringwood and Heidelberg Councils, Director of Community Services and Acting CEO at the Shire of Campaspe and Director of Community Services at the City of Knox. Gerard has also worked for the Municipal Association of Victoria, Spastic Society of Victoria (now known as Scope) and the YMCA.